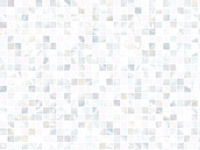 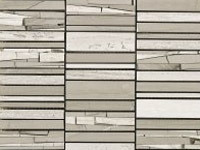 Porcelanosa Grupo offers you a large number of color and design variations mosaic made from glass, ceramic, stone or metal. 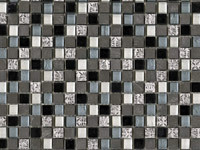 This process of folding is achieved by the gradual shading and blending of colors and mosaics. 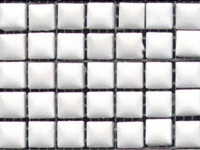 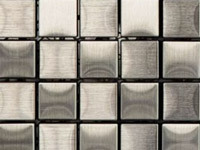 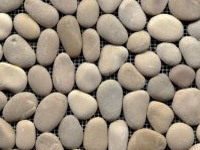 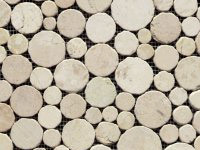 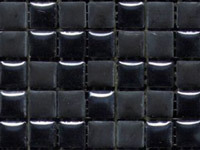 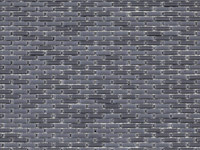 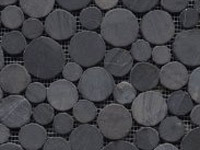 We also supply mosaic glued to the reinforcement mesh in various sizes. 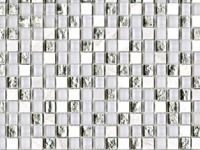 There is a choice of sizes and shapes, for example., Square, rectangular, circular, etc.. 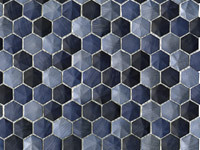 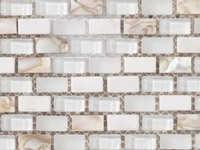 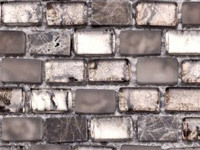 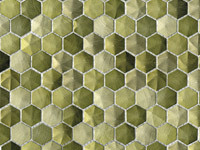 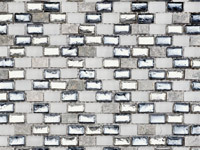 The mosaic can be used as a tile for kitchens , bathrooms and other rooms. 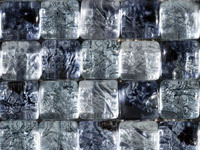 Glass mosaic, which is particularly recommended for lining the inner surfaces of pools or saunas; it can be used as a tile on the wall, etc.. Mosaics can be glass, stone, metal, ceramic, or a combination of these materials. 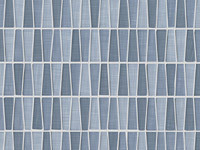 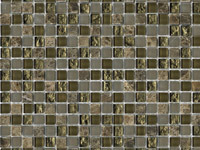 Mosaic allows a large number of variations. 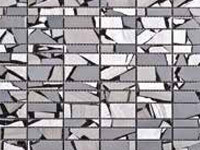 The biggest advantage is the possibility of using mosaics in inner and outer curved surfaces and creating innovative mosaic shapes. 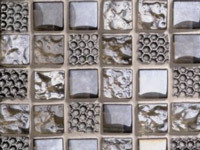 Mosaic is basically a surface decoration or ornamental figurative character, composed of small parts, prisms, pins, etc.., Stone, glass, fastened into the soft plaster or cement. 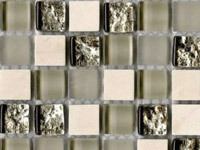 The mosaic is made of different materials - from ordinary ceramic tiles to exclusive design made of glass, marble, travertine or even rare minerals, wood and metal. 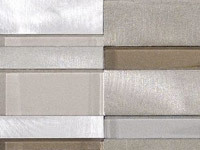 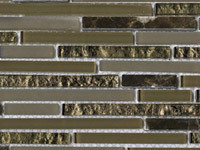 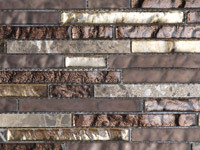 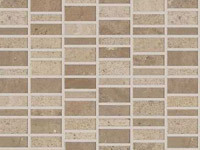 Mosaics have different shapes, sizes, colors and finishes. 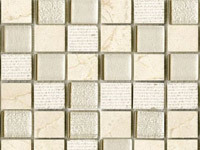 Where we use the tile, can also be placed mosaic. 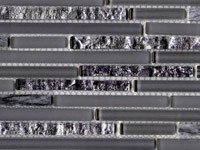 The advantage is that it also can be placed on curved and otherwise atypically shaped surfaces both interior and exterior. 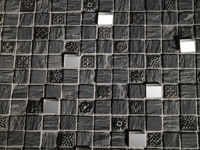 If the mosaic will be glued directly onto a flat surface, then it just stack them into the place, where it will lie. 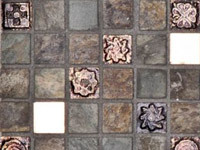 If the mosaic will be glued to a vertical surface or a combination of vertical and horizontal surfaces, it is much better to measure the entire area and lie the mosaics with color patterns before gluing to the surface. 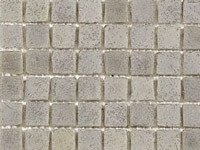 The surface should be clean before sticking the mosaic, free of any dirt, dry and flat. 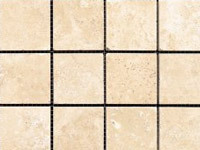 If you have floor heating, then the base should be sufficiently isolated. 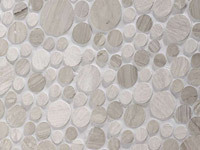 For gluing and grouting mosaics we can recommend products from our firm BUTECH with whom we have very good experience and you can also purchase with us. 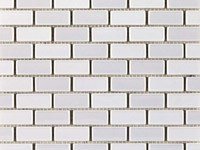 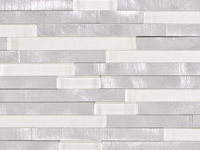 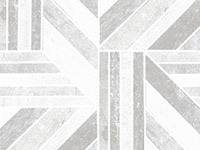 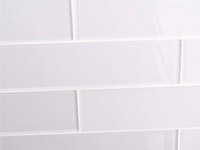 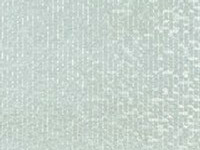 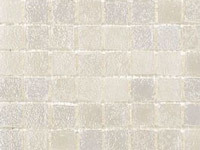 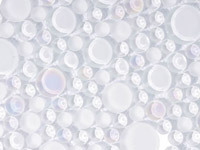 For the glass mosaics and tiles we recommend our white glue ONE-FLEX . 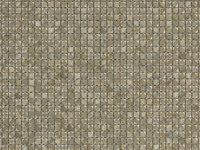 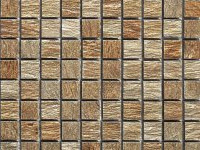 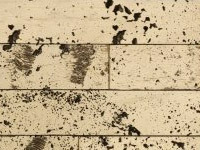 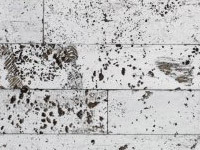 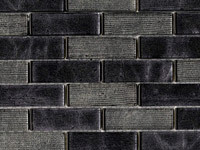 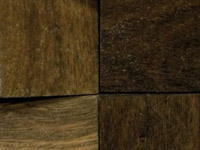 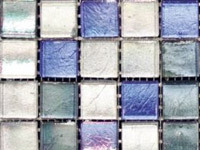 When selecting the grout is needed to take into account that if it is a non-absorbent material, such as glass, it is necessary to use a flexible grout and select a suitable color. 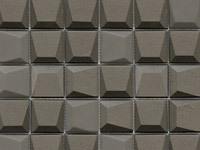 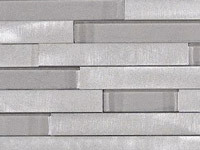 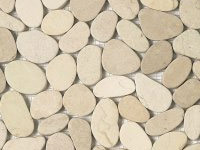 We recommend that you use one of our grouts, COLORSTUK RAPID , which is available in different colors. 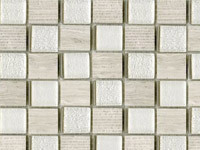 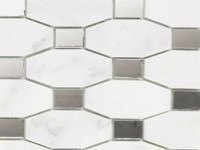 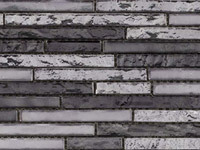 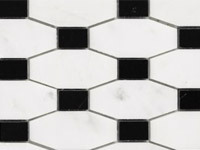 If you are not sure what color of grout to choose, don't make a wrong choice, choose the white grout. 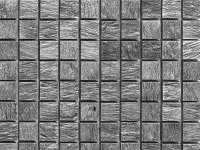 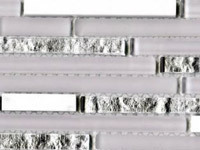 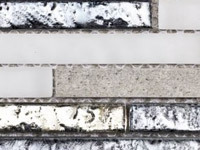 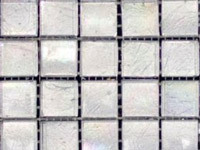 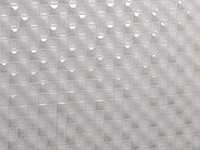 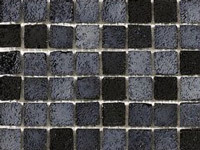 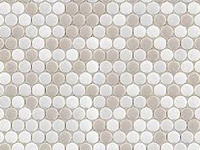 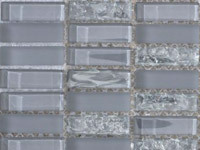 Glass mosaic for safety reasons we do not recommend using on the floor of shower enclosures and space where the risk of slipping on smooth surface. 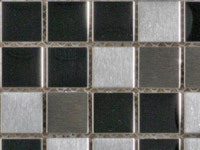 Chrome and stainless steel mosaic on the floor should not be used at all, because it can cause damage such as dents or scratches. 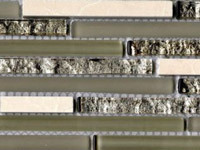 When using ONE-FLEX adhesives and grout COLORSTUK RAPID, glass mosaic can be glued in both the exterior and the interior. 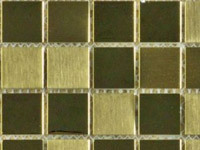 For making holes in glass mosaics, must be used diamond drill for the glass. 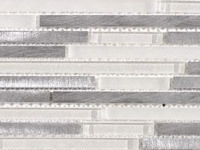 For gluing mosaic on a horizontal surface in the interior, we use tile adhesive ONE-FLEX as a dry powder material which is mixed with the prescribed amount of water and is ready for use. 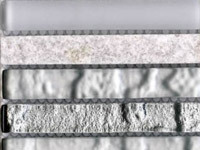 The workability of the adhesive is about 2 hours and is applied directly on a surface with a notched trowel. 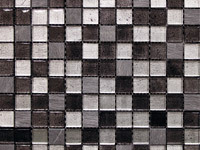 2 kg of glue is enough for gluing around 1.3 square meters of mosaic when the glue thickness is about 0.7 cm. 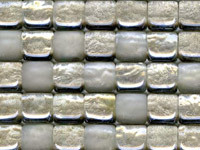 The mosaic is laid directly into the adhesive. 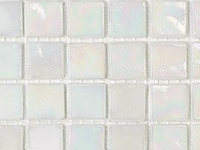 For gluing the mosaic on the vertical surface we use the anti freezing, fast-setting high-tech adhesive SUPER-ONE. 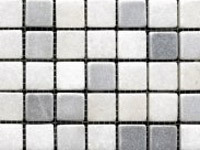 This adhesive guarantees fast setting times for all ceramic tile and mosaics. 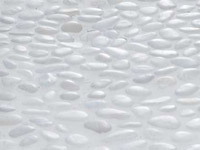 Ready for foot traffic after 3 hours, this adhesive is perfect for mosaics in premises that require good mechanical performance and rapid setting times, waterproof and frost resistant. 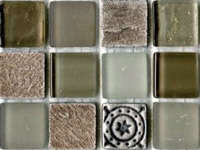 Prepared mosaic, turn it and apply gradually the glue to each piece, and then glue it to the place and let it dry. 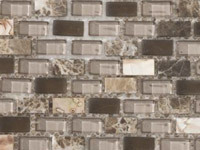 Your mosaic looks almost done, but still need to grout the gaps, that then it will create a continuous surface. 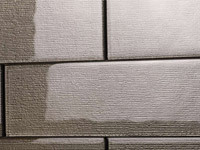 Cover the surrounding wall and floor with tape, you can stick painting paper tape. 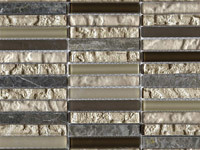 Then mix the grout in the selected color and do not worry to apply to the entire surface of the mosaic. 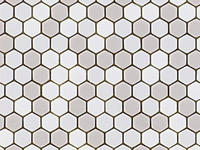 For jointing, use a plastic trowel, which is small, flexible and well for spread the grout. 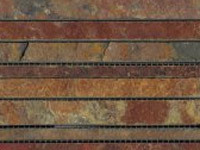 To ensure that the joints were well filled, is recommended to pass perpendicularly through the gap and if is possible, from both sides. 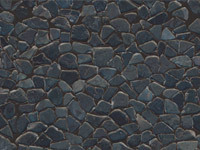 After drying the grout (aprox. 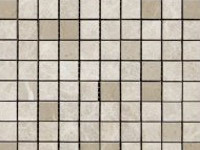 1 hour) Is required to purge the excess grout. 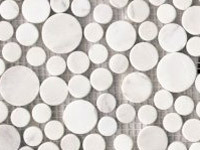 For this you can use water and ordinary sponge. 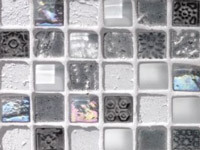 If the mosaic is glazed, it can be cleaned even after a month, but it will be much more work. 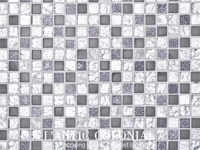 Of course, even this type of mosaic is not missing in PORCELANOSA Grupo, after all, is a traditional and classic mosaic, whose main charm lies in the originality and uniqueness of each square. 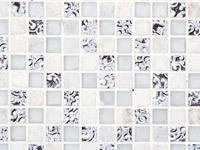 Each piece is an original due to manual production of a patterned mosaic of L'Antic Colonial. 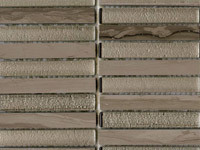 Natural stones such as marble, travertine, etc.., Which is hand finished and inserted into pre-designed mold. 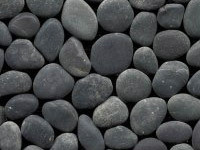 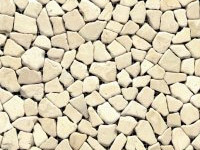 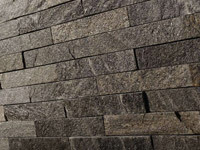 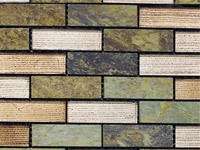 Stone mosaic is suitable for outdoor use to decorate public spaces such as. 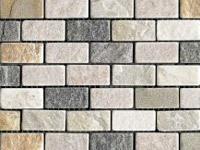 Restaurants, schools, etc.. Also are beginning to appear in our gardens as an ornamental element in stone pergolas in combination with a wooden mosaic, etc.. 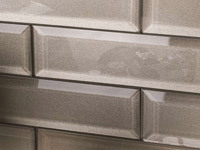 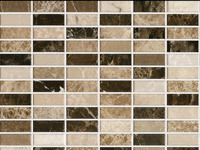 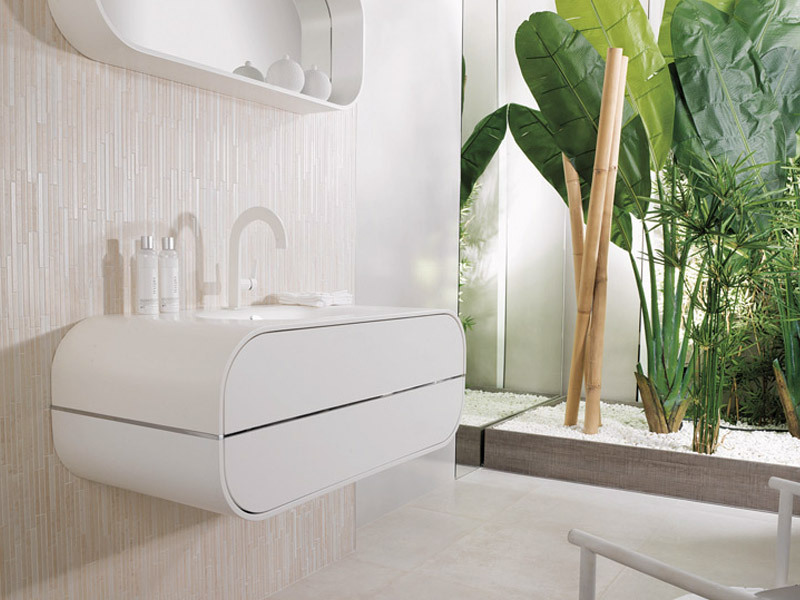 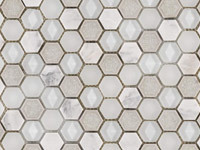 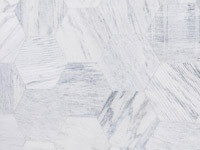 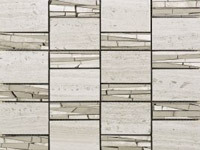 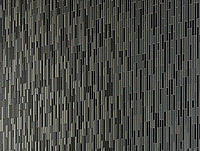 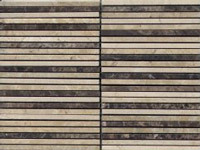 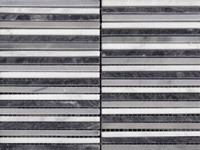 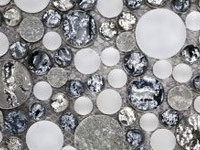 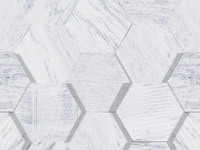 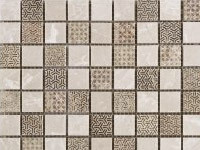 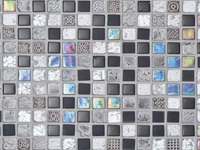 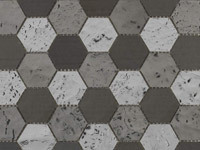 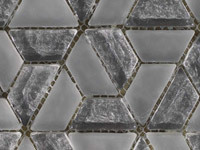 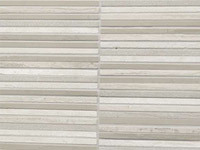 The range of different shapes mosaics from PORCELANOSA Grupo is unbelievable. 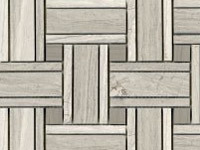 It is up to you whether you choose the apparent chaos or perfect geometric order, whether you opt for a pattern or toned area, if you incline to the variant with visible joints or the joint less. 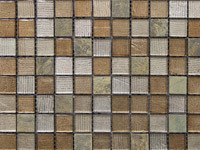 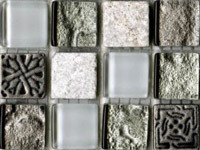 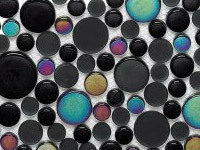 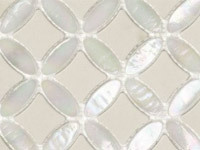 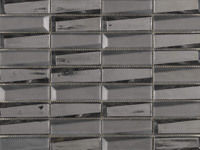 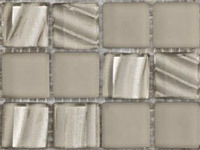 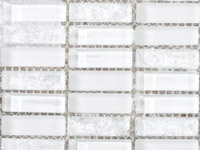 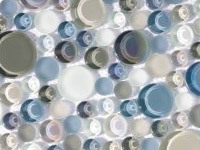 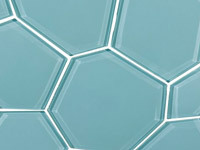 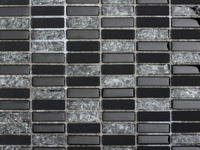 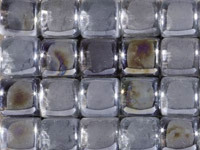 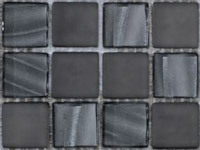 This category offers a wide range of color options and tread mosaic made of crystal glass. 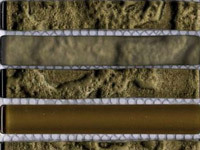 In this way composition can be achieved by gradual shading and blending color saturation. 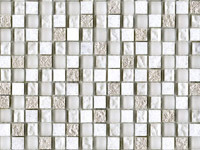 PORCELANOSA Grupo can design mosaics according to your design or picture. 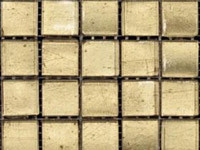 The trends for this year are mosaics with metallic effect or the surface of stainless steel, which are also on offer at PORCELANOSA Grupo. 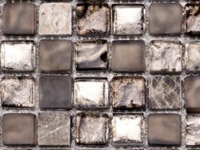 Mosaic was used at the time of the ancient Orient and in ancient Greece from the sixth century BC , in Rome especially in the second and third centuries. 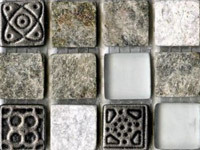 Usually stone mosaics where used to decorate floors, for example in Pompeii, glass mosaic components were produced in Venice, on the island of Torcello, already in the seventh and eighth centuries. 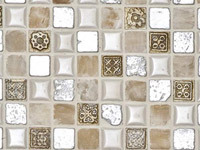 Beautiful monumental style glass mosaics were positioned on the walls and vaults of early Christian Basilicas and Byzantine temples from the fifth and sixth centuries. 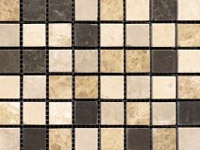 The word mosaic is from the Italian mosaico deriving from the Latin mosaicus and ultimately from the Greek mouseios meaning belonging to the Muses, hence artistic. 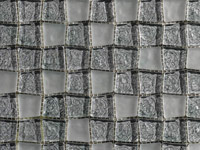 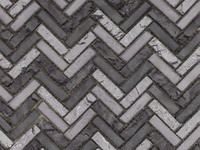 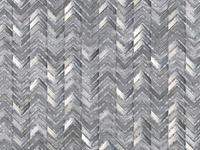 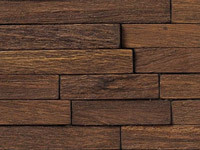 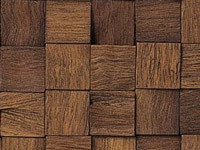 The term for each piece of material is Tessera (plural: tesserae). 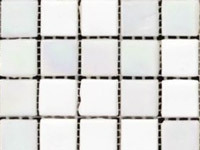 The term for the spaces in between where the grout goes is the interstices. 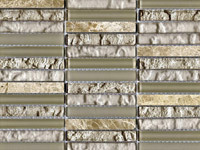 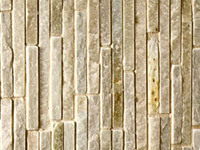 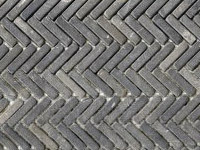 Andamento is the word used to describe the movement and flow of Tesserae. 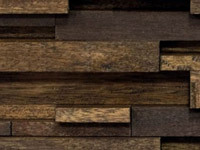 The 'opus', the Latin for ‘work’, is the way in which the pieces are cut and placed. 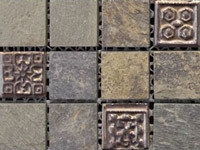 There are two kinds of mosaics, matching the two major phases of historical development of the mosaic art. 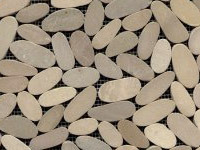 The first are pebble mosaics, that characterize the classical period and flint mosaic of Hellenistic period. 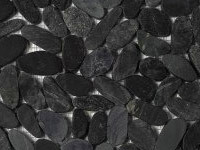 The oldest pebble mosaic is dated between the eighth and sixth century BC, and was found in the Phrygian Gordion in Anatolia. 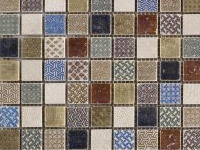 Such a mosaic which covered a large surface of the room, was purely ornamental with irregular patterns of red, white and others. 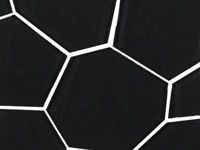 Squares, rectangles, triangles and circles on a dark background. 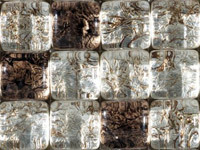 Artists who spent a lot of time creating mosaics in the houses of wealthy Romans were very well paid for their art and also admired. 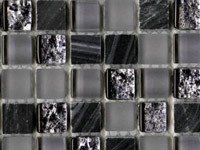 Today the mosaic again becoming a popular interior decoration of private and public buildings. 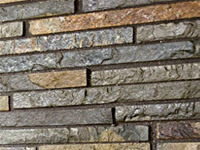 Their price varies according to the quality of materials and workmanship. 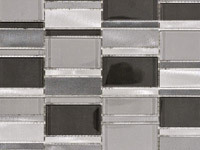 The mosaic is, was and will be a way to express your own ego in an original way.